A directional antenna or beam antenna is an antenna which radiates or receives greater power in specific directions allowing for increased performance and reduced interference from unwanted sources. Directional antennas provide increased performance over dipole antennas – or omnidirectional antennas in general – when a greater concentration of radiation in a certain direction is desired. A high-gain antenna (HGA) is a directional antenna with a focused, narrow radiowave beam width. 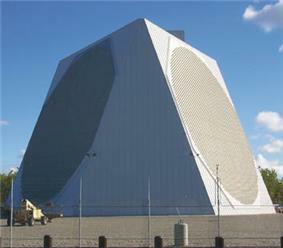 This narrow beam width allows more precise targeting of the radio signals. Most commonly referred to during space missions, these antennas are also in use all over Earth, most successfully in flat, open areas where no mountains lie to disrupt radiowaves. By contrast, a low-gain antenna (LGA) is an omnidirectional antenna with a broad radiowave beam width, that allows for the signal to propagate reasonably well even in mountainous regions and is thus more reliable regardless of terrain. 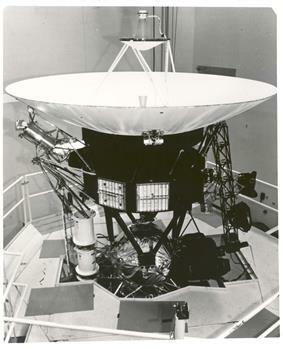 Low gain antennas are often used in spacecraft as a backup to the high-gain antenna, which transmits a much narrower beam and is therefore susceptible to loss of signal. When transmitting, a high-gain antenna allows more of the transmitted power to be sent in the direction of the receiver, increasing the received signal strength. 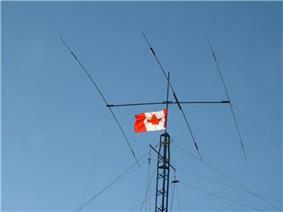 When receiving, a high gain antenna captures more of the signal, again increasing signal strength. Due to reciprocity, these two effects are equal - an antenna that makes a transmitted signal 100 times stronger (compared to an isotropic radiator), will also capture 100 times as much energy as the isotropic antenna when used as a receiving antenna. As a consequence of their directivity, directional antennas also send less (and receive less) signal from directions other than the main beam. This property may be used to reduce interference. 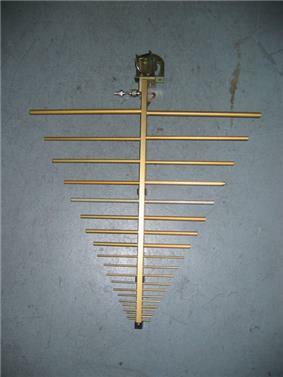 There are many ways to make a high-gain antenna - the most common are parabolic antennas, helical antennas, yagi antennas, and phased arrays of smaller antennas of any kind. Horn antennas can also be constructed with high gain, but are less commonly seen. Still other configurations are possible - the Arecibo Observatory uses a combination of a line feed with an enormous spherical reflector (as opposed to a more usual parabolic reflector), to achieve extremely high gains at specific frequencies. 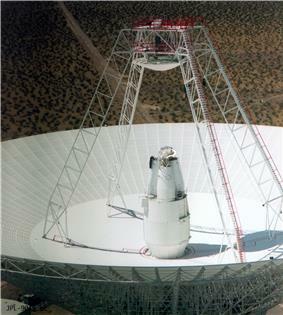 High gain antennas are typically the largest component of deep space probes, and the highest gain radio antennas are physically enormous structures, such as the Arecibo Observatory. 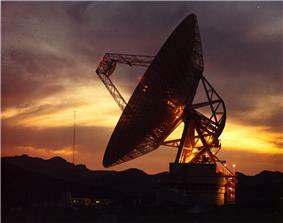 The Deep Space Network uses 35 meter dishes at about 1 cm wavelengths. 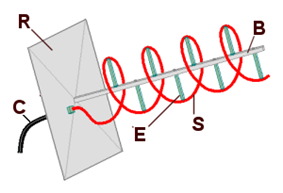 This combination gives the antenna gain of about 100,000,000 (or 80 dB, as normally measured), making the transmitter appear about 100 million times stronger, and a receiver about 100 million times more sensitive, provided the target is within the beam. This beam can cover at most 1/100 millionth of the sky, so very accurate pointing is required. ^ Crawford, A.B. , D.C. Hogg and L.E. Hunt (July 1961). "Project Echo: A Horn-Reflector Antenna for Space Communication". The Bell System Technical Journal: 1095–1099. 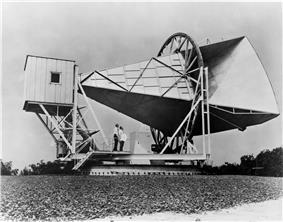 ^ "National Park Service: Astronomy and Astrophysics (Horn Antenna)". 2001-11-05. Retrieved 2008-05-23.